The Content Marketing Institute, Marketing Profs, and Outbrain have conducted a survey for the last two years that asks marketers how they market with content. This year, Outbrain concluded that 100% of respondents reported using content marketing. If 100 percent of marketers today not only understand that distinction [of content’s role in marketing], but have truly begun to embrace it and act upon it, then we’ve entered a new era in the evolution of content marketing. Or, as he concludes, competing with content. Content competition is not new. There are fundamentals to obey regardless of granular tactic or tool if you’re serious about competing using content to market, especially online. Usefulness — The content itself is useful in some capacity, e.g., it solves a problem, explains or educates audience about a topic, or provides an experience (ideally by providing a genuine emotional connection). Authenticity — Content should have clearly attributed sources and journalistic transparency (see: our Newsblogging process). Originality — Content must contain a purposeful voice, definitive style, human story, presented with careful attention to visual design. 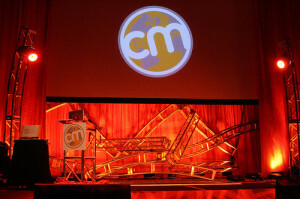 In summation, to compete using content you must put your audience and their needs center stage. In practice, this means that each piece of content is strategically used to build thought leadership and developed so that the content is more likely to be shared (i.e., marketed). Content shapes identity and influences customer acquisition. Of course, there is some reluctance. That’s a lot to ask of a company or internal team to do in addition to their primary expertise and workload. That’s why, increasingly, those people and businesses who are serious about using content to edge the competition enlist the talent and resources of a larger team. Doing so is the best kind of investment and offensive move when literally everyone — 100%! — claims they are using content marketing as their competitive business strategy. Image by ShashiBellamkonda under a Creative Commons license.